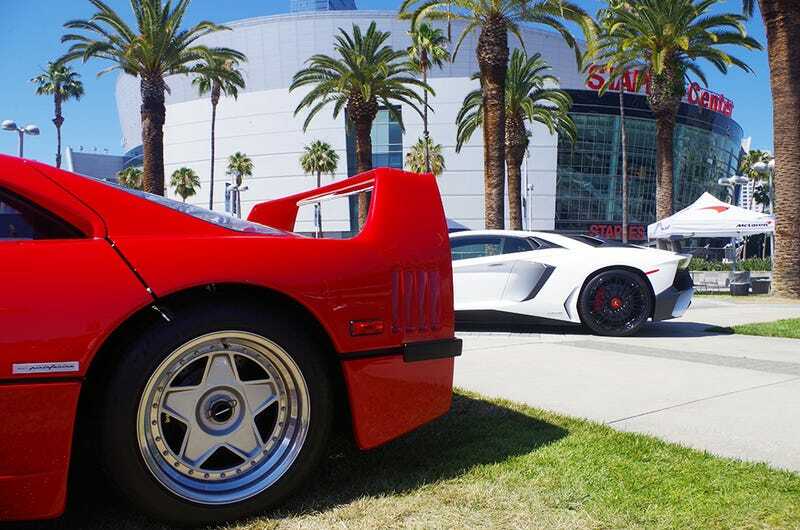 Last weekend the L.A. Summer Concours put about $50 million worth of exotics on the pavement outside Los Angeles’ Staples Center. For $250 a ticket you could walk among them and eat some fancy food, but if you missed the shindig you can still drool on the cars in this little gallery. The 2016 L.A. Summer Concours was the brainchild of car nuts/event organizers Keith Previte and Bryan Cole. Their plan was basically to make a sexier version of The Quail, one of America’s most famous and prestigious cars shows, that the wealthy Los Angeles car community could participate on with half a Saturday. The high admission price was intentionally exclusionary. Keep out the riffraff, and all that. Maybe next year we should start our own car show across the street. With blackjack and hookers!